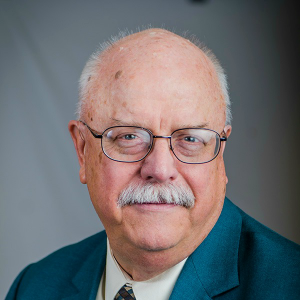 Tom Burke is Director of VVA’s Region 5, covering Illinois, Indiana, Michigan, and Ohio. Burke volunteered for the Navy in 1963, and was eventually assigned to Helicopter Combat Support Squadron One (HC-1) at Imperial Beach, Calif. Joining its onboard detachment on the aircraft carrier USS Hancock in 1966, he served until his honorable discharge in 1969. A life member, Burke started out with VVA as vice president of Chapter 857 in New Philadelphia, Ohio. He ultimately served four terms as chapter president, and was president of the State Council of Ohio from 2006–2014. Burke was elected to the National Board as a director at large in 2009. He has participated in several national committees, serving as chair of the Public Affairs Committee, chair of the Finance Subcommittee on Investment, vice chair of the Government Affairs Committee, first vice president of the Council of State Council Presidents, vice chair of the Veterans Incarcerated Committee, and a member of the National Finance and National Leadership Conference committees. Burke is now chair of VVA’s national Veterans Benefits Committee and a member of the national Disciplinary Committee. He is also an active member of AMVETS, the American Legion, and the VFW. Professionally, Burke retired from the Canadian National Railroad as national manager of Pulp & Paper, and served as national president of National Transportation during the 1980s. He believes that no one person can accomplish all things, but by standing together, people can accomplish their mutual goals.